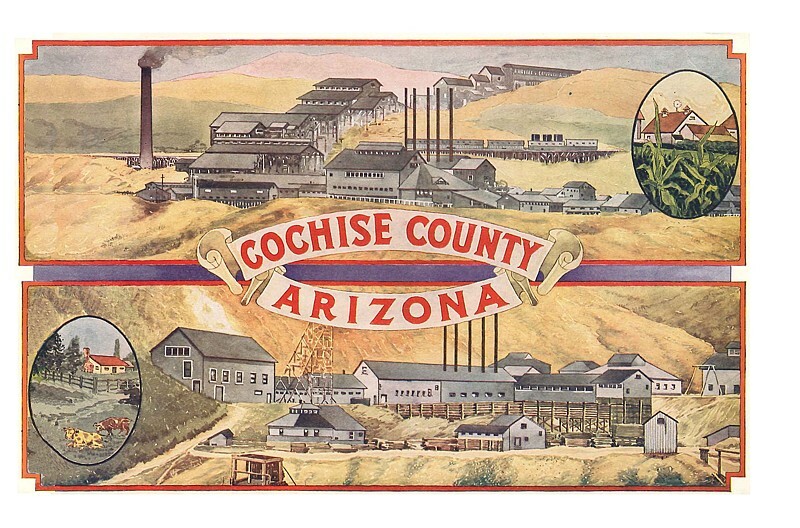 Located in Southeast Arizona, Cochise County is just over 6,000 square miles in size. The County Seat is Bisbee and the County is part of the Sierra Vista-Douglas Metropolitan Area. If you were cited for a traffic violation along I-10 in Benson or Wilcox Arizona, or anywhere else in the county, we have a bit of good news for you. The Great State of Arizona has recognized An Online Defensive Driving Course by Improv Comedy Club as a source for getting your Cochise County AZ traffic ticket redacted from your driving record. What you say? The famous Improv Comedy Club has a traffic school and it can help me get out of a ticket? Read on partner, read on. In many instances, Arizona allows for you to take a Arizona defensive driving course in place of making a court appearance or other penalties after getting a simple traffic citation. There's more good news. 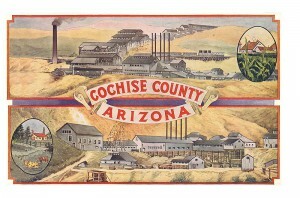 Cochise AZ traffic school can be taken online and it can be fun and entertaining. Improv's comedy traffic school is amusing, educational and is recognized as a designated Cochise County defensive driving course to satisfy their requirements. Improv's Cochise County Arizona traffic course is totally online. This gives you the opportunity to log in and out as your schedule permits. Complete the course in one entertaining sitting or move through it a bit at a time. The choice is yours! No sitting in a room full of strangers listening to some boring presentation. You take your Cochise County AZ defensive driving school online when it's convenient for you. So how does comedy defensive driving course work? Well, sometimes you just have to laugh. We've designed an approved online defensive driver education course that is amusing and educational. There is no law that says traffic school can't be fun, at least not in Arizona! Our online classes are priced at the lowest allowable by Arizona law. Our services include reporting the completion of your online traffic school to the Cochise County Court. Your certificate of completion is free and can be downloaded in as little as 30 minutes after completion. It could not be easier. Take this online course and your traffic ticket gets dismissed and no points will be added to your driving record. All you need do is successfully complete the course. Court Ordered Defensive Driving Course. In certain circumstances, the state of Arizona may order you to take a defensive driving course. If that is the case, we can help. Completing a court ordered defensive driving course can save you some cash, fulfill your obligation to the state, and keep you out of some further trouble. Optional Defensive Driving Course to Reduce your Insurance Premiums. Looking for ways to save on your auto insurance? Well you just may be able to do that when you successfully complete a Cochise County Arizona Defensive Driving Class. The amount you save on your insurance costs is likely to be significantly more than the cost of the course itself. Check with your insurance carrier for details and to see if you qualify. Pretty good deal huh? Get rid of a ticket, stop points from being added, avoid court and possibly save on your auto insurance. Well, there are some eligibility requirements. Here are the situations that can make you eligible. Make sure the code that is noted on your traffic ticket matches one on the fines/sanctions schedule. Your traffic charge cannot have involved a death or a serious injury. A trial or hearing date has not been set and your fine has not been paid. You have not taken a defensive driving class to have a ticket dismissed in the state within the past two years. The potential benefits of attending an online traffic school are many. No court appearance is necessary. The charge will be dismissed upon completion. There is no fine for the charges. Read your traffic citation completely. Your "Notice to Appear" date will be your deadline to respond. You must respond by this date or more trouble lies ahead. It could result in more fines and penalties, a driver's license suspension and even your arrest. If you pay the fine it is an indication that you do NOT wish to attend traffic driving school. That means you should NOT pay the fine as indicated on the citation. Instead, the traffic school will collect the court diversion fees, state fees and state surcharges. The traffic school will get those payments to the courts on your behalf. You then need to enroll in a state approved Arizona traffic school. The court says that you should be enrolled in a class at least seven days before your court appearance date. You are urged to enroll at least ten days before your appearance date to allow enough time for eligibility processing and of course, to complete the class. Follow instructions provided to you once you register for the course and submit your documents. This verifies your eligibility for online traffic school. Now, all you have to do is enjoy your Cochise County online traffic school and successfully complete it. Our Improv Comedy Traffic School is a simple 6-hour course that is fun and entertaining. It is probably something you'll want to share with your friends. If you are NOT eligible for an online traffic school you still have the choice to pay your fine. Paying your fine is also a guilty plea and your traffic offense will be reported to the Arizona Motor Vehicle Division.